Slate roofing is the classic, stunning looking roof you’ve always dreamed. It’s that quintessential look of elegance and style that we all want our home to have. Although it can come at a cost, it can be well worth it for a range of reasons. The benefits of slate roofing are many and can really do a range of great things for your home. We provide all the slate roofing related services that you need to get this look, along with all the other benefits, in your home. That way, you can ensure that your new slate roof not only looks amazing but is installed, or repaired, professionally too. Slate is another material that more and more people are choosing for their roofing needs, both for residential and commercial purposes. Slate as a material has a range of advantages, but it also pays to keep in mind there are some draw backs too. It’s all about what fits your goals, desires, needs and budget. That being said, the great advantages that slate brings could well outweigh the disadvantages in your situation. Whatever the case, we can provide all slate roofing and rubber roofing related services that you need install, repair or replace slate roofing at your home or commercial property. 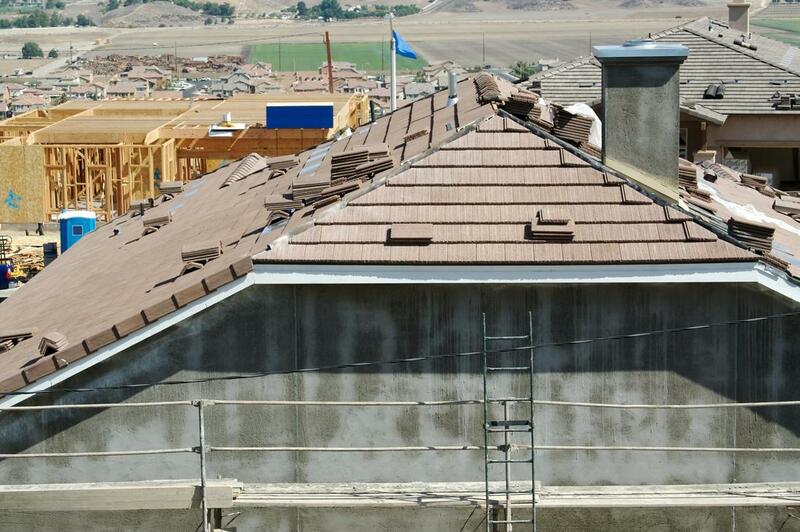 Slate roofing can be a truly efficient choice for your home for a number of reasons. Firstly, and perhaps the best reason, is that slate is long lasting, it can last for decades with the right care. Along with this it’s fire proof and is often an environmentally friendly choice too. Not only because it can because it can be recycled once its lifespan is over but also because it doesn’t create a range of pollutants during the manufacturing process. It can also help to insulate your home and ensure you use less energy, which is also beneficial for the environment. Perhaps the thing you want the most from any roof is for it to increase the curb appeal for your home or business, and really create a stunning look that you, and others, can sit back and truly admire. Slate tiles are made from natural stone and have a stunning natural beauty to them. They also come in variety of colors naturally, so you can choose the right look and color for your home. This is important to create the best look for your home. Get that stunning curb appeal you’ve always wanted by getting slate tiles for your home or business. Slate roofing can also be great value. This comes as part of it being an efficient choice. Long lasting means there’s less replacement costs, and maintenance costs, down the track, which is always a great way to save money. On top of this, the fact it can insulate your home and reduce energy costs also lower costs, and money wasted. Although it can be more expensive to install than other types of roofing, with the all the benefits it brings, you can really get your money’s worth and save in the long term.